A group of LOCAL residents has been meeting in order to plan an ATHOL CLEAN UP DAY. We have been meeting every other Monday in order to brainstorm ideas and work on a plan. We have decided that the Saturday after Earth Day (April 27) would be a good day since Earth Day is on Monday, the day after Easter. We are looking for enthusiastic people to make this event happen. We meet next at the Millers River Environmental Center on March 11th at 6:30 to work on event details all welcome. Please email Heidi at mailto:greencleanathol@gmail.com. LET’S MAKE THIS HAPPEN!!!! For almost two decades, pollinators have been declining in abundance, species richness, and geographic distribution at an unprecedented rate worldwide. These declines pose a significant threat to global biodiversity due to the keystone role that pollinators play in terrestrial ecosystems – more pollinator species means more plant species, and more plant species means more food, shelter, and nest sites for wildlife at other trophic levels. Yet, we presently lack the information on pollinator-plant connections or ‘networks’ at the species level needed to fully assess the impact of human activities on ecosystem health. Please join Dr. Robert J. Gegear for a discussion on how the concept of pollination networks can be used to develop effective ecosystem restoration strategies at different spatial scales. Sunday, June 2, 2019, 9:30 am Dragonflies and Damselflies in the North Quabbin. Join Club president and others for this look at both rare and common species found in the North Quabbin. We will start by searching a historical site for the endangered Ebony Boghaunter Williamsonia fletcheri after which we will look at different local habitats for early season odonates. Bring a camera, net (if you wish), snacks, water, footwear to be able to wade in shallow water and a sense of fun and adventure. Meet at 9:30 am at MREC 100 Main Street Athol contact Dave Small mailto:Dave@dhsmall.net (978) 413-1772 for questions. Friday, June 7, 2019, MREC Grand Opening 6:00 – 8:00 PM Celebrate the new Wheel Chair lift, and the Windows on Main Art Exhibit with food, music, and fun for the whole family. This event coincides with the First Friday downtown Athol festivities. So lots to do and see in downtown Athol. 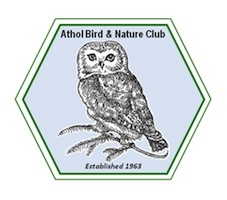 Saturday, June 22, 9 p.m. – late night Annual Moth Ball Join ABNC president Dave Small and naturalist Lula Field at Dave and Shelley’s house, 1542 Pleasant St., Athol, to search for Lunas, underwings, silkmoths and other night-flying insects. Participants are invited to bring their tents, snacks to share and favorite moth baits. (Don’t know what those are? You’ll find out!) Info: Dave Small, 978-413-1772 or mailto:Dave@dhsmall.net.